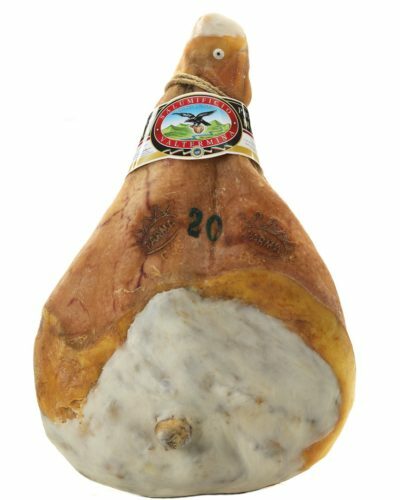 The best-known Italian deli meat in the work is made with just two ingredients: Italian pig legs of the highest quality and salt, combined by expert artisanal production methods and the curing process over a period varying from 18 to 30 months. This product has Protected Denomination of Origin because of its strong connection with the area of production: the climate, which is the reason behind the excellent results of the curing process, and the producers’ skills and experience.It is a completely natural product, free of preservatives and additives, which is only branded with the Consortium’s prestigious Crown, its seal of quality, after passing rigorous checks throughout the production process. Its characteristics are a very mild and delicate taste, unrivalled in fragrance and quality. 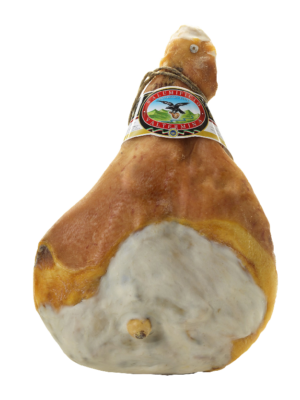 This ham is produced with Italian pork legs; only salt is added and it is made by hand following the meticulous procedures of our artisans’ tradition. Completely natural and without preservatives or additives, its curing process lasts from 18 to a maximum of 24 months. It is mild and fragrant. 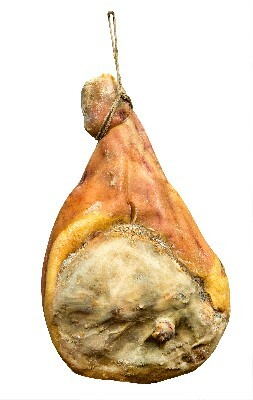 Made with European pork meat according to Italian tradition and craftsmanship. Cured on average for 12 months. It has more rustic characteristics as well as a more intense aroma and taste.